I have a day full of nutritious raw vegan food! 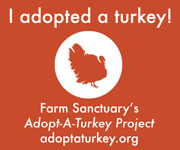 But, before I get into that… I’m excited to share with you that Greg and I adopted a Turkey today through Farm Sanctuary. 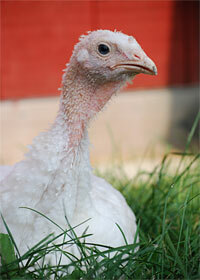 As you know, we’re vegan, so there will be no turkeys slaughtered to feed our bellies! Ever! Her name is Daphne. :) Isn’t she so cute?! Have you seen Thanksgiving’s toll on turkeys? It’s just awful. I started my morning with a large purple-ish brown smoothie. It had water, frozen cherries, banana, hemp seeds, hemp protein powder, RAW sunflower lecithin, red leaf lettuce, and probiotic powder. I made two protein drinks with Sprout Living’s new Vanilla Lucuma protein powder to have throughout the day. It’s very good! It’s the first ever vanilla protein powder that I like. Finally! 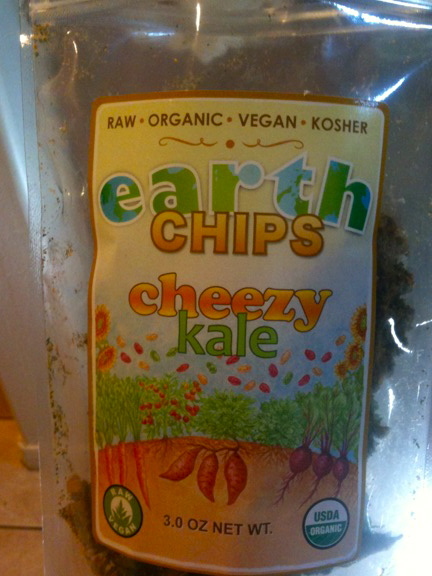 And… it’s raw, vegan, and certified organic (yay!). I mixed it with water, Greener Grasses, and pumpkin spice. They also sent me their Chocolate Maca flavor to try, as well as their plain flavor. I don’t usually drink this much protein, but my postpartum hair shedding is out of control and I’m hoping some protein will help?! I also added a little extra zinc to my diet and I’m drinking organic nettle tea. (I blogged about some postpartum issues here). 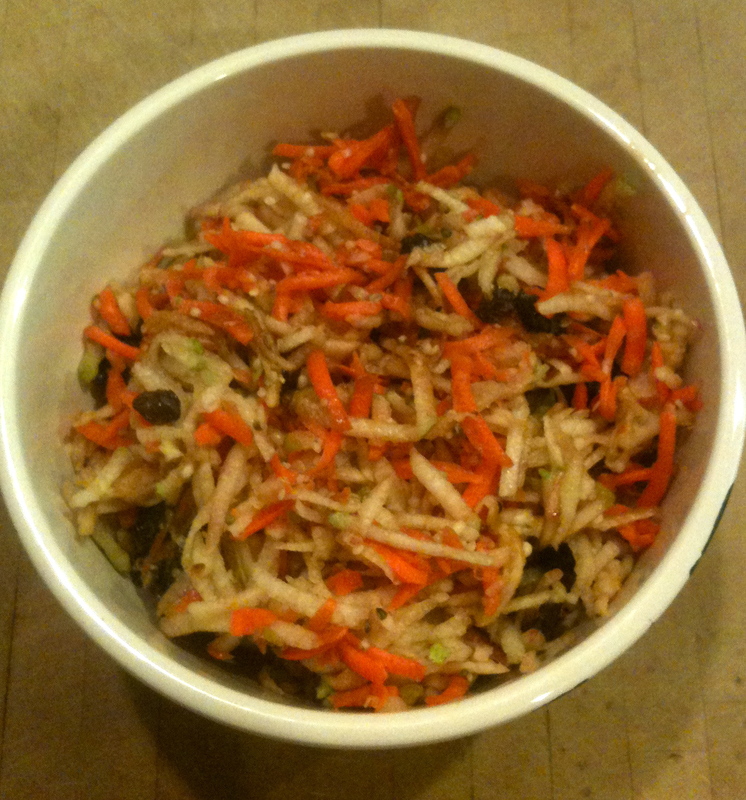 Fall Delight – this is a mixture of shredded apple, pear, and carrot tossed with a handful of raisins, sprinkling of hemp seeds, 1/4 teaspoon pumpkin spice, and a small drizzle of yacon syrup. Zucchini Pasta with Velvet Wine Sauce – Mmmm soooooo gooooooood. I simply spiralized some zucchini pasta with my favorite raw pasta maker, added halved grape tomatoes, minced raw olives, and Velvet Wine Sauce. Lip smackin’ delicious. I’ve written about my Velvet Wine Sauce here recently, and I shared the recipe in a limited edition of a recent email newsletter (hope you were on the list when I sent it out). 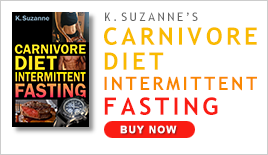 If you don’t have it, it’s also available in my latest book EASY Raw Vegan Transition Recipes. 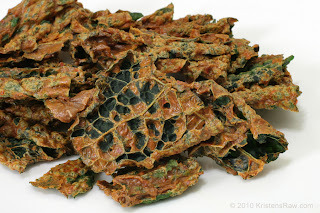 Cheezy Kale Chips from Blue Mountain Organics (I raved about them here where I also taught you how you can make your own). Personally, I can’t get my hands on organic red bell pepper to make my Cheezy Hemp Nacho Sauce to make my own Cheezy Hemp Nacho Kale Chips. 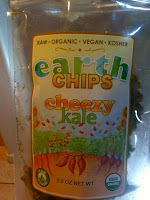 So, in the meantime, I’m enjoying Blue Mountain Organics’ Cheezy Kale Chips. I’m using a new organic produce delivery service, Nature’s Garden Delivered. It’s my second week trying them (thank you to the commenter in a previous post who turned me on to them). I’m quite happy (I love their access to local organic food). They don’t have as much variety as Boxed Greens, but Nature’s Garden Delivered is less expensive and does a better job with their packaging (they use less plastic). They don’t deliver nationwide, but they’re available in Arizona and Georgia. With all of my fresh organic produce, we’re having an amazing weekend full of delicious and healthy food! 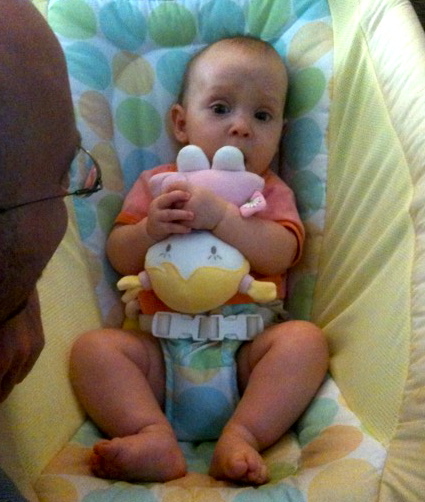 And… here is Kamea hugging her organic dolly that Lauren and Ginger bought her! Whew! This week marks my 9th week being pregnant!!!! I’m in the final stretch of the first trimester and my body is visibly changing with this little life growing inside me. I’ve been sick as a dog (all-day-morning-sickness) but happy as hell about it. 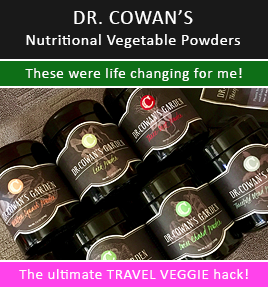 However, there were many days over the past 2 weeks that I didn’t want any food… not Raw, not even cooked vegan… not bread… nothing! And, this coming from a woman who used to eat even with an upset tummy. However, even though I didn’t want to eat the past couple of weeks, I forced myself to eat. I had to. I was able to manage some fresh fruit, as well as a green smoothie here and there, but most of it was cooked vegan. I’m going to be in Raw food heaven!!!! My 1st Baby Bump Picture! My High Raw, All Vegan Food Intake – 11th Week Pregnant! 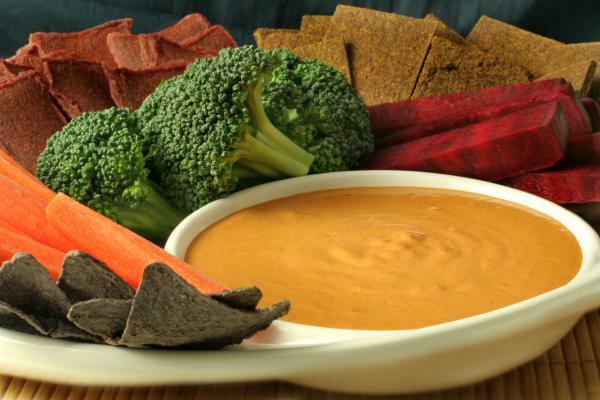 Here is a video showing you how I make one of my favorite Raw Vegan recipes, Cheezy Hemp Nacho Sauce (recipe available here) that is from my book, Kristen Suzanne’s Ultimate Raw Vegan Hemp Recipes. I get so many compliments on this recipe – I stopped keeping count. Enjoy! Oh, and PS… A great thing about the Benriner turning slicer I show in the video is that the Raw veggie noodles that this tool makes are noodles that stay fresh for 2-3 days, unlike the Saladacco or other spiralizer like the Saladacco (where the inside of the produce is used), and you need to serve the noodles right away or at least the same day. With the Benriner Turning Slicer (and there are a couple of other models that are similar to the one I feature), the noodles can be made 1-2 days in advance and still taste as fresh as the day you made them. That’s awesome! This also makes a delicious Raw vegan dressing on a hearty salad with romaine lettuce, chopped tomatoes, and cucumbers. 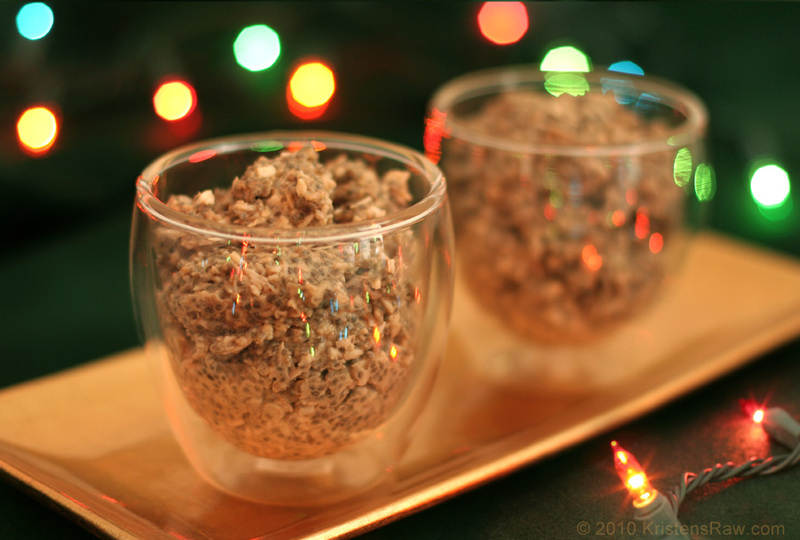 You could even sprinkle on some Raw vegan taco meat and raw dehydrated corn chips for a tortilla type salad. Here’s a super fun way to have it… dehydrated like a slice of nacho flavored cheese… simply spread the mixture on to a dehydrator tray (Excalibur Dehydrators are, by far, the best) fitted with one of their Paraflexx sheets. Let it dehydrate (105-110 degrees) over night (or longer! ), and try flipping it on to a regular mesh tray the following day, peel off the Paraflexx sheet and continue dehydrating until you reach a “dry-type” texture. Either try cutting into squares to put on your next sandwich or crumble it up and use it as a fun and yummy topping for salad. Or, if you’re like my sweet husband, he eats it straight out of the dehydrator bite by bite… plain, all by its delicious self! This stuff is A-M-A-Z-I-N-G. I love showing it off at parties. People are always asking for the recipe. I get email after email from people telling me how much they love this simple soup. My husband’s and my favorite way is to prepare it with the pumpkin pie spice. Yum! I always make a double batch of this heavenly scrumptious pudding and it’s devoured in a couple of days. I love it. My husband loves it. My step-dad loves it. My mom loves it. Need I say more? Ummm…. I don’t really have anything to say but… MAKE THESE! My regular followers know I’m addicted to this sauce. I love dipping carrots and celery into it. 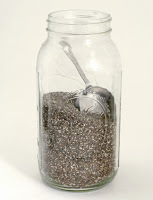 I love dipping organic blue corn chips into it. I love dipping flax crackers into it. I love using it as a sauce on cooked or raw veggie burgers. I simply LOVE it! *Note: my favorite chili powder for this recipe is by Simply Organic. 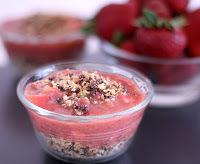 Refreshing, delicious, healthy, and awesome. And… it’s summer! Food Journal – Tuesday’s Good Stuff!